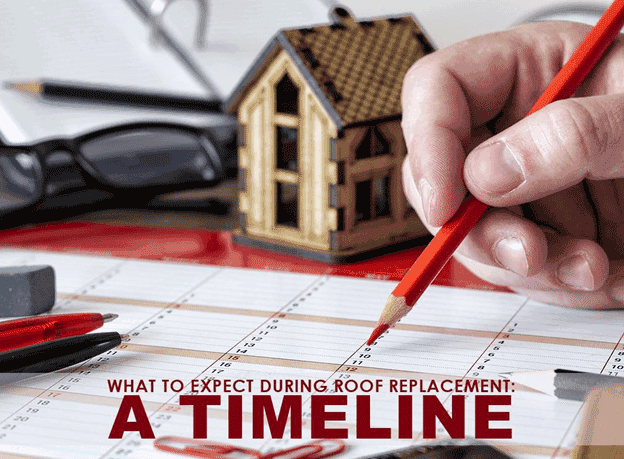 Roof replacement can be a test of patience and nerves, especially if it’s your first time and you don’t know what to expect. While roofing companies in Michigan will do all of the work, knowing what happens before, during, and after the process can help you cope with surprises along the way. We make all the calculations and assessments during the initial on-site consultation and inform you of the time frame. Bigger projects will likely take longer than a few days so you might have to stay somewhere else nearby and/or hire short-term storage space. We will gradually start delivering the roofing materials a few days before installation proper. They will occupy parts of the driveway and/or the roof, so you’ll need to let us know if you need space to maneuver your car. Another thing to expect is that installation will be very noisy, so you might need to give your neighbors a heads-up about the noise. Expect a lot of foot traffic from the workers throughout the house while we install your roofing in Michigan. There will also be a lot of dust and debris, so you have to ensure that everything that will need to be covered will definitely be covered, such as furniture, electronics, even the shrubbery. If you have any areas that are off-limits or if you need the gates closed at all times, let us know in advance. We understand that you need time to get some work done and can’t personally oversee the project, so we keep you updated with our progress. The last day is critical as this is where you see all the planning come together. So we make sure that everything is cleaned up after: discarded roofing, nails, and other debris. If you’re into recycling, you can locate a nearby shingle recycling center at shinglerecycling.org. Recycling centers cost much less than having the discarded roofing sent to a landfill. At this stage, we’ll work with you to finalize the paperwork — financials, warranties, and (depending on the roofing material manufacturer) a final inspection. We’ll also answer any questions you might have at the time. By then, you will surely be enjoying your new high quality roof that will last you for years to come. Kroll Construction is one of the few roofing contractors in Michigan who can work with you through the entire process — and beyond. Call us today at (888) 338-6340 or fill out our contact form to schedule a free consultation.